Code/Space research is seeking to develop new conceptual tools for understanding the relationship between software, technology, space and everyday activities. The research is being conducted by Martin Dodge (Department of Geography, the University of Manchester) and Rob Kitchin (National Institute of Regional and Spatial Analysis, National University of Ireland, Maynooth). Please contact us if you have any questions, email to m.dodge (at) manchester.ac.uk or rob.kitchin (at) nuim.ie. 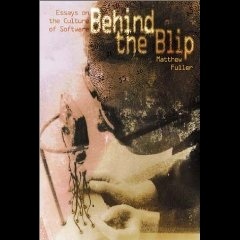 Over the past thirty years, the practices of everyday life have become increasingly infused with and mediated by software. Whatever the task - domestic living, working, consuming, travelling or communicating – software increasingly makes a difference to how social and economic life takes place. Software is embedded into objects and systems as a means to enhance and manage usage and is pivotal in linking together geographically disparate and distributed infrastructures. It also enables new and refined processes through the generation, storage, profiling, screening and communication of data about individuals, objects, and transactions. Importantly, software has profound spatial effects, both through the automatic production of space that generates new spatialities, and the creation of software-sorted or machine readable geographies that alter the nature of access and governmentality. Software, however, does not simply discipline, it also empowers, bringing into being spaces and social activities that qualitatively enhance daily life for many people. These processes of regulation and empowerment are sometimes hard to discern as they are often hidden or operate from spaces several steps removed from the places of embodied experience. Nonetheless, given their increasingly widespread deployment, it is essential to tease them out and think them through. Code/Space research is examining the new spatialities and new modes of (spatial) governance and empowerment enabled by the development and adoption of software through an exploration of the dyadic relationship between software and space; how the production of space is increasingly reliant on code, and code is written to produce space. In so doing, we are developing a set of conceptual tools for identifying and understanding these relationships, illustrating our arguments through rich, contemporary empirical material relating to different spatial spheres and everyday activities (travel, home, work, consumption). The principal concepts we detail are transduction and automated management. Through the concept of transduction we theorise space and spatialities as ontogenetic in nature, as constantly in a state of becoming. Software, through its technicity – its ability to do work in the world - transduces space; enables space to unfold in multifarious ways. We formulate the concept of automated management to think through the various ways that new software systems survey, capture and process information about people and things in automatic ways and make judgements algorithmically without human scrutiny. 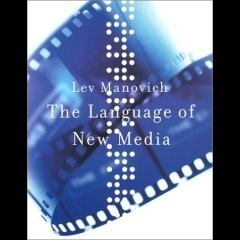 Published in April 2011, more details on the MIT Press webpage. This promotional flyer (pdf) gives the table of contents, preface and introductory chapter. Association of American Geographers Meridian Book Award for Outstanding Scholarly Work in Geography, 2011. CHOICE Outstanding Academic Title, 2011. Taylor Shelton's review in the Annals of the Association of American Geographers, 102(1): 247-49. Mike Batty's review in Computational Culture, 1 December 2011. Gwilym Eades's review in Cartographica, 47(2): 140-1. Francis Harvey's review in IJGIS, March 2012. Matthew Wilson's review in Cultural Geographies, 19(3): 418-19. Matthew Zook's review in Regional Studies, 46(8): 1105-06. Peter Adey's review in the Journal of Transport Geography, 26: 177-76. The book can be ordered from the likes of Amazon.com and Amazon.co.uk. 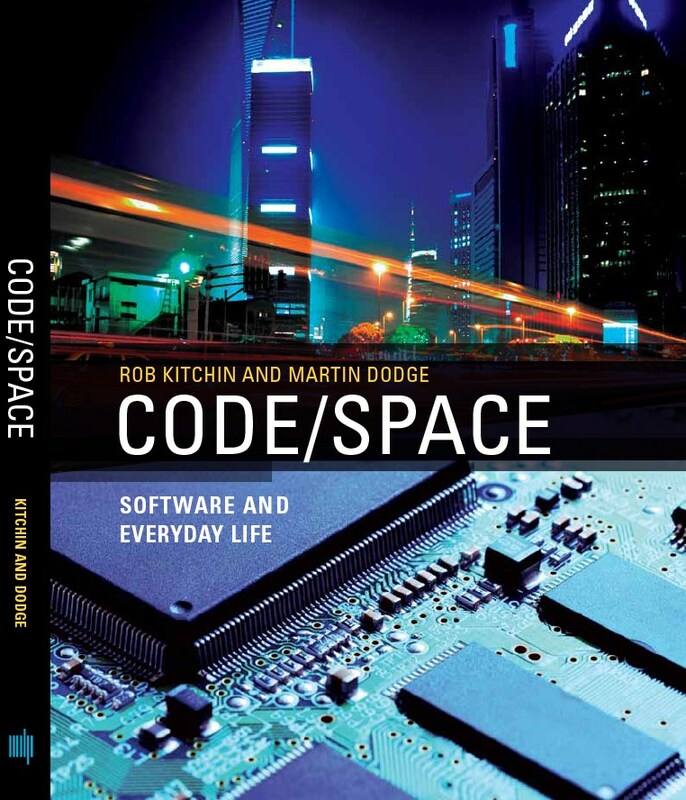 Kitchin R. and Dodge M., 2011, Code/Space: Software and Everyday Life (MIT Press, Cambridge MA). Kitchin R., 2011, The programmable city, Environment and Planning B: Planning and Design, Vol. 38, No. 6, pages 945-51. Dodge M., 2010, Code/space, Urbis Research Forum Review, Vol. 1, Issue 2, pages 15-25. Dodge M. and Kitchin R., (in press) Barcodes and RFIDs. In Thrift N., Tickell A. and Woolgar S. (eds) Globalization in Practice (Oxford, OUP). Kitchin R. and Dodge M., 2009, Airport code/spaces. In Cwerner S., Kesselring S. and Urry J. (eds) Aeromobilities: Theory and Research (Routledge, London). Dodge M., Kitchin R. and Zook M., 2009, How does software make space? Exploring some geographical dimensions of pervasive computing and software studies, Environment and Planning A, Vol. 41, No. 6, pages 1283-1293. Dodge M. and Kitchin R., 2009, Software, objects and home space, Environment and Planning A, Vol. 41, No. 6, pages 1344-1365. Dodge M. and Kitchin R., 2007, ‘Outlines of a world coming in existence’: Pervasive computing and the ethics of forgetting, Environment and Planning B: Planning and Design, Vol. 34, No. 3, pages 431-445. Dodge M. and Kitchin R., 2007, Virtual places. In Douglas I., Huggett R. and Perkins C. (eds) A Companion Encyclopaedia to Geography (Routledge, London), pages 519-536. Dodge M. and Kitchin R., 2007, The automatic management of drivers and driving spaces, Geoforum, Vol. 38, No. 2, pages 264-275. Kitchin R. and Dodge M., 2006, Software and the mundane management of air travel, First Monday, Vol. 7, No. 9. <www.firstmonday.org/issues/special11_9/>. Dodge M. and Kitchin R., 2005, Codes of life: identification codes and the machine-readable world, Environment and Planning D: Society and Space, Vol. 23, No. 6, pages 851-881. Dodge M. and Kitchin R., 2005, Code and the transduction of space, Annals of the Association of American Geographers, Vol. 95, No. 1, pages 162-180. Dodge M. and Kitchin R., 2004, Flying through code/space: the real virtuality of air travel, Environment and Planning A, Vol. 36, No. 2, pages 195-211. Guest editorial: How does software make space? Exploring some geographical dimensions of pervasive computing and software studies, by Martin Dodge, Rob Kitchin and Matthew Zook. Intensive movement in wireless digital signal processing: from calculation to envelopment, by Adrian Mackenzie. The software slump? : digital music, the democratisation of technology, and the decline of the recording studio sector within the musical economy, by Andrew Leyshon. Worlds of affect: virtual geographies of video games, by Ian Graham Ronald Shaw and Barney Warf. Software, objects, and home space, by Martin Dodge and Rob Kitchin. The software-simulated airworld: anticipatory code and affective aeromobilities, by Lucy Budd and Peter Adey. Infrastructures of the imagined island: software, mobilities, and the architecture of Caribbean paradise, by Mimi Sheller. Software and Space, Association of American Geographers Annual Conference, 17-21 April 2007, San Francisco (see the original call for papers for details). Dodge M, 2007, "Countryside code", Codes and Conduct workshop, Lancaster University, 19-20th November 2007. Kitchin R, Dodge R, 2006, "Managed bodies in managed vehicles navigating managed space: The automatic production of vehicular space", Association of American Geographers Annual Conference, Chicago, March. Dodge M, 2006, "Code in the city: spaces 'written' with software", Department of Geography seminar, University of Kentucky, 3 March. Dodge M, 2006, "Coding the city: spaces 'written' with software", FUTURE Conference - The Electronic City, Bratislava, 5th February. 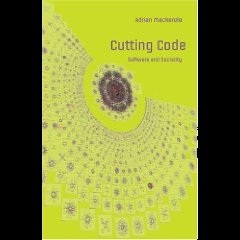 Kitchin, R. (2005) Code, everyday life and mundane governance. Command Lines: The Emergence of Governance in Global Cyberspace. Milwaukee, April 28-30. Kitchin, R. and Dodge, M. (2003) Code and the transduction of space. Canadian Association of Geographers, Ontario meeting, Oct 25. A number of geographers and allied scholars are looking at the intersections of pervasive computing, code and space. Beer D, 2007, “Thoughtful territories: Imaging the thinking power of things and spaces” City 11(2) 229-238. Curry M R, 1997, “The digital individual and the private realm” Annals of the Association of American Geographers 87 681-699. Galloway A, 2004 “Intimations of everyday life: Ubiquitous computing and the city” Cultural Studies 18(2/3) 384-408. Graham S D N, 2005, “Software-sorted geographies” Progress in Human Geography 29(5) 562-580. Kinsley S, 2011, "Anticipating ubiquitous computing: logics to forecast technological futures" Geoforum 42(2): 231-240. Lyon D, 2002, “Everyday surveillance: Personal data and social classifications” Information, Communication and Society 5 242-257. Thrift N, 2004, “Movement-space: The changing domain of thinking resulting from the development of new kinds of spatial awareness” Economy and Society 33(4) 582-604. Thrift N, French S, 2002, “The automatic production of space” Transactions of the Institute of British Geographers 27(3) 309-335. Wilson M W, 2011, "Data matter(s): legitimacy, coding, and qualifications-of-life" Environment and Planning D: Society and Space 29(5) 857-872. Sam Kinsley at the the Digital Culture Research Centre in Bristol is also putting together a Code/Space bibliography that is useful. Last updated: 21st December 2012.